Snowy Dessert is located on Whyte Ave just beside Dorinku, and they just had their soft opening on July 10. For the first 2 weeks, you can get a 10% discount if you follow them on Instagram or Facebook. 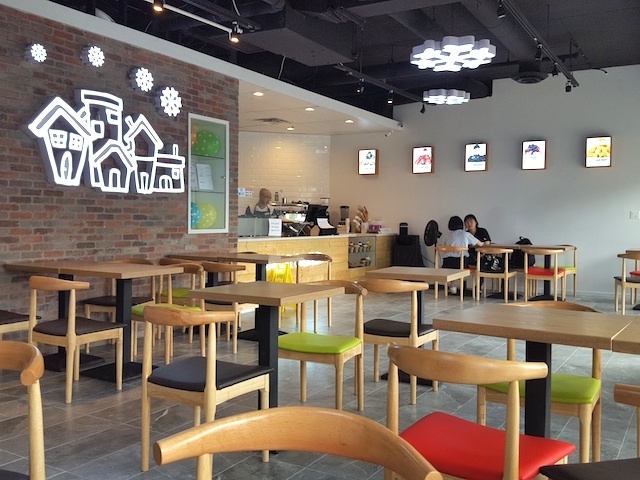 In addition to bingsu (Korean shaved ice), they also serve taiyaki and drinks. 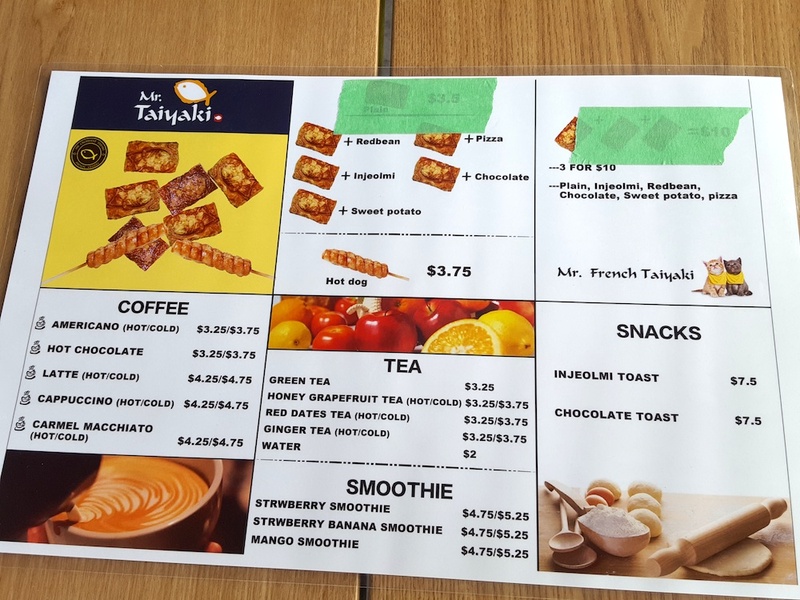 Currently only red bean and chocolate taiyaki flavours are available. 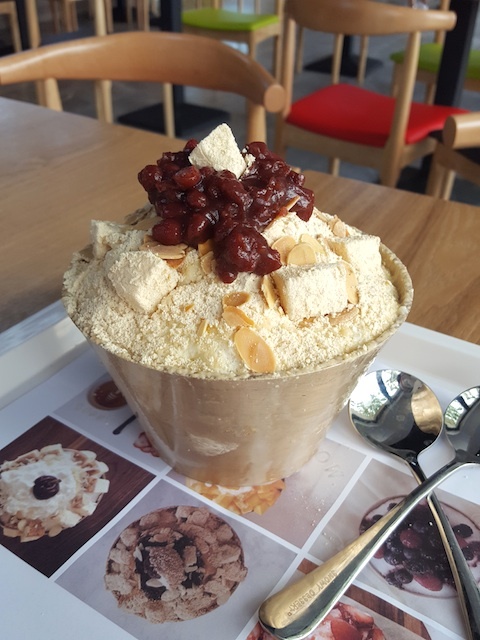 I ordered the large injeolmi bingsu ($12). The shaved ice was made with milk instead of water which made a real difference to the taste. It was a lot creamier and enjoyable even when it started melting. The injeolmi (Korean rice cake) was soft and chewy, but hardened when left in the ice for too long. The red bean topping was very sweet. 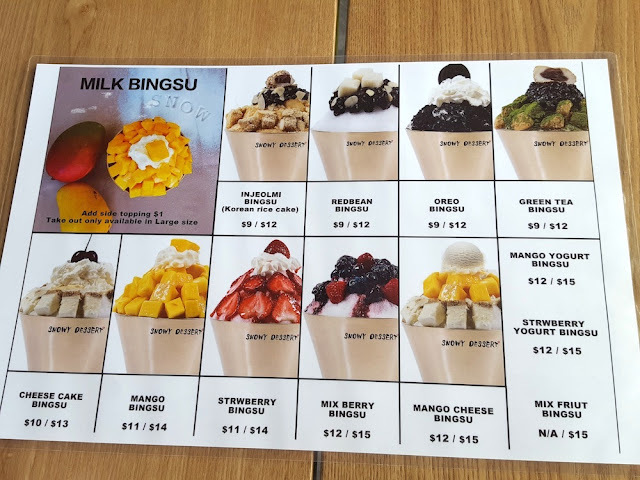 I guess bingsu is supposed to be shaved ice with toppings, but I think it would've been better to have layers inside the ice so that people wouldn't run out of toppings when they eat from the top down. Another small complaint I have is that the spoons were sticky and gave me the feeling they were not cleaned or handled properly. Hopefully this will not be an ongoing issue. 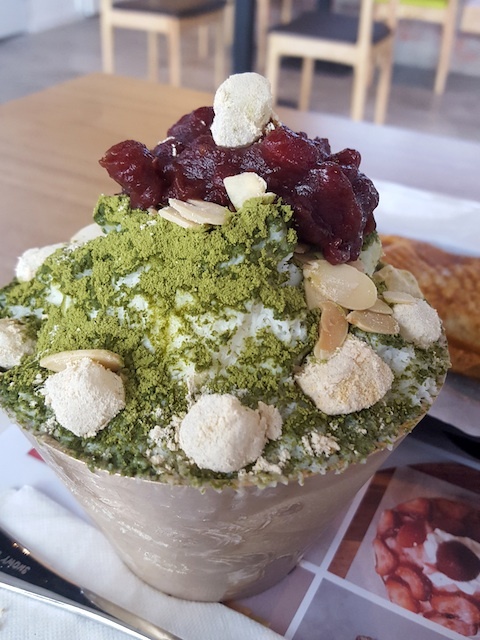 On a second visit, I tried the small green tea bingsu ($9). I've noticed that there's basically no difference in amount of toppings between the large and small size, so the small size is better value unless you really like the shaved milk ice. This time there were actually almond flakes and matcha powder layered in the ice. Not sure if that was intentional or not, but I thought it was a nice touch. I had a red bean taiyaki ($3.50 each or $10/3) and it was a pretty decent size. 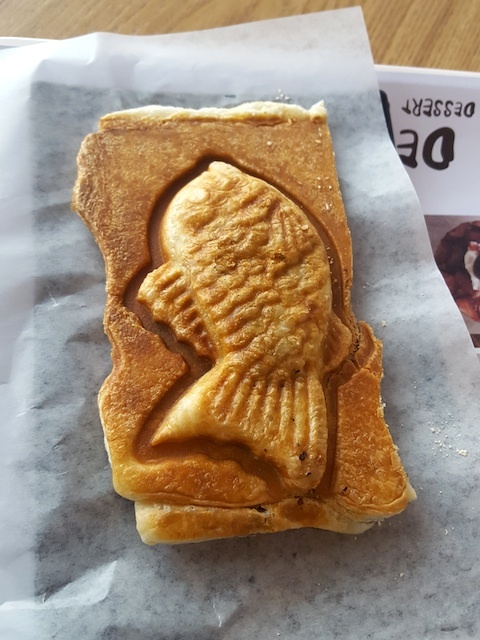 It was unlike other taiyaki I've had in the past that was more spongy and cake-like. This one was very crispy and flaky. Its buttery layers reminded me of a croissant or danish. 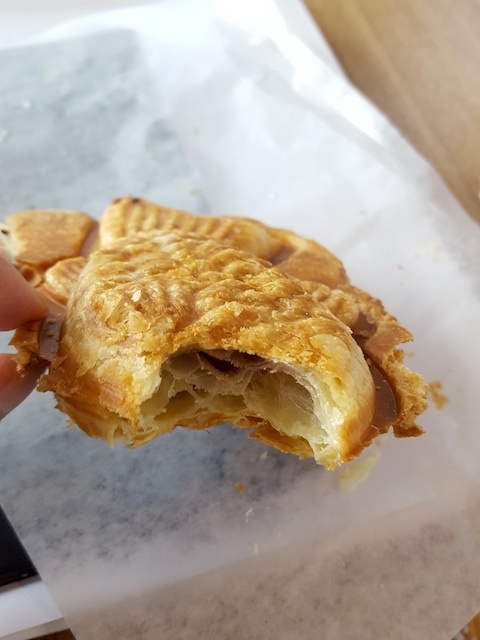 At first I thought there was barely any filling, but actually all of the red bean was concentrated near the tail area. This was a good pastry, but I prefer the cake-like taiyaki more.